HRH Princess Maha Chakri Sirindhorn opened the 10th Thai Red Cross Assembly at the Ambassador City Jomtien Hotel. The conference, which this year focused on developing programs to sustain provincial level Red Cross chapters in coming years, marked the 50th anniversary of the Thai unit of the international aid organization. 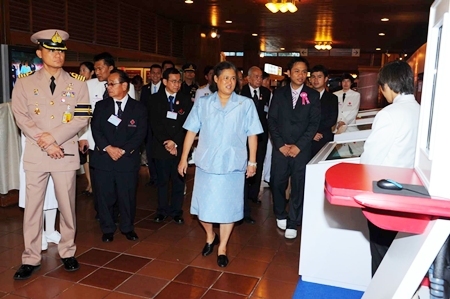 HRH Princess Maha Chakri Sirindhorn tours the exhibits at the 10th Thai Red Cross Assembly at the Ambassador City Jomtien Hotel. Red Cross officers and staff from across the country joined in the two-day meeting, exchanging ideas on how to keep provincial and district-level Red Cross units running with sufficient funding and staff. It also served as forum for local aid representatives to meet with officials from the national organization. 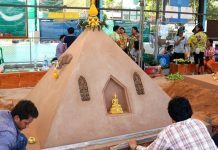 The workshop also featured sales of locally made products from 200 vendors throughout Thailand. Next articleIs this the final rate hike in China?